Ms. Spearman is a solo family law practitioner in Roanoke, Texas. Ms. Spearman began her association with the legal profession as a paralegal for family law attorneys in Tarrant County, Texas, while she earned her Juris Doctor from Texas Wesleyan University School of Law in 1997. Ms. Spearman is originally from South Carolina where she attended the University of South Carolina, earning a B.S. degree from the College of Criminal Justice. 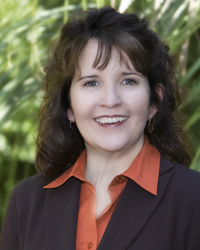 Ms. Spearman has dedicated her practice solely to family law since 1997. Ms. Spearman served as President of the Tarrant County Family Law Bar Association (TCFLBA) in 2008. She served on the TCFLBA Board of Directors from 2002 – 2009; 2013 – 2015. Ms. Spearman served on the Board of Directors of the Texas Wesleyan University School of Law, Alumni Association from 2007 – 2009; and on the Board of Directors of the Tarrant County Bar Association from 2009 – 2011. Ms. Spearman has been a member of the Tarrant County Bar Association, Tarrant County Family Law Bar Association, and Family Law Section of the State Bar of Texas since 1997. Ms. Spearman was trained in the Collaborative Law process in 2004, and is a member of both the Collaborative Divorce Texas, and Tarrant Collaborative Divorce Council. Ms. Spearman was sworn in as a member of the Bar of the United States Supreme Court in March, 2007. 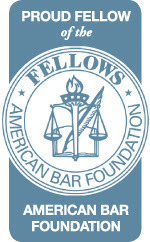 She is a Life Fellow of the Texas Bar Foundation, a Fellow of the Tarrant County Bar Foundation and American Bar Association. Ms. Spearman has served on the National Adoption Day committee, Legal Aid clinic and numerous other committees as a member in good standing of the Tarrant County Family Law Bar Association and Tarrant County Bar Association. Ms. Spearman has been recognized as a “Rising Star” for 2005, 2006 & 2007 by Texas Monthly Magazine. For 2008 – 2016, Fort Worth, Texas Magazine has recognized her as one of the area’s Top Attorneys. Becky has worked for the Law Office of Lori A. Spearman, P.C., since 2016. She enjoys the interaction with clients, as well as others in the profession and really enjoys the opportunity to learn something new every day. Customer service is top of mind in this practice and assisting clients as they work through their individual experience is a key component. Becky has over 25 years’ experience in various roles within large international corporations. She has a degree in business administration which has allowed for diverse opportunities including finance and operations, sales/marketing, and management. Her favorite pastimes are gardening, reading, antiquing and family time. 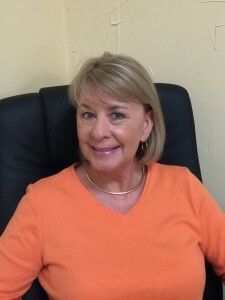 Becky is married and the mother of two adult children and two grandchildren..
Diane has worked for the Law Office of Lori A. Spearman, P.C., for 8 years whenever needed. She loves interacting with the clients and the other attorneys, both on the phone and in person. She provides excellent customer service and enjoys the fast paced environment of the family law practice. Diane has a Bachelor of Science in Education and has previously taught high school English. She has 25 years experience as a former sales and marketing manager for a large telecommunications company. Her favorite hobbies are golf and pet sitting for friends and family. LAW OFFICE OF LORI A. SPEARMAN, P.C. © 2016 | LAW OFFICE OF LORI A. SPEARMAN, P.C.